Nathaniel Hawthorne - An Introduction. 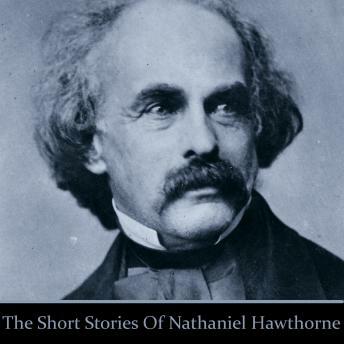 Nathaniel Hawthorne was born in 1804 in the city of Salem, Massachusetts. His father, a sea captain died when Nathaniel was 4 and Nathaniel always a shy child spent his early years with his Mother and two sisters. Hit on the leg by a ball, doctors could finds nothing wrong but he went lame and was bedridden for a year. He entered Bowdoin College in 1821, and graduated in 1825. Hawthorne anonymously published his first work, the novel 'Fanshawe', in 1828. He continued to publish in various periodicals which he collected in 1837 as Twice-Told Tales. The next year, he became engaged to Sophia Peabody eventually marrying her in 1842. His defining work 'The Scarlet Letter' was published in 1850, followed by a succession of other novels. The majority of his works centre on New England and have a Puritan inspiration and outlook with their inherent evil and sin of humanity. A political appointment took Hawthorne and family to Europe before their return in 1860. Hawthorne died on May 19, 1864, leaving behind his wife and their three children. This volume centres on his short stories which are beautifully crafted pieces layered with characters ill at ease with their path through life. They are read for you by Vincent Marzello.